Nick near the Wyoming/Idaho border on the Great Divide Mountain Bike Route during a weeklong tour with his wife Kristen. A Hoosier native, I moved to Colorado after finishing my studies in French and Journalism at Indiana University to continue a life of exploration. My preferred mode of adventure is the bicycle, mankind's most beautiful invention. My passion for the simple engineering and efficient travel that a bike affords has led me around the world. As a professional cycling team mechanic, I worked with Radioshack, Garmin, CSC, Toyota-United, HealthNet, Ofoto and Clif Bar Development Cyclocross teams. Working all three Grand Tours (Italy, France, Spain), several world championships (road, track, cyclocross) and as the Head Mechanic for the U.S. cycling delegation at the 2008 Beijing Olympics was an amazing ride. After coming in off the road at the end of 2010, I co-founded The Service Course, a service-oriented bike shop in Boulder, Colorado with Daimeon Shanks. At the same time I began my time at VeloNews working as Tech Editor for two years. Traveling again, this time as a journalist covering the mechanical side of professional cycling allowed me to share my love of the sport, pulling back the curtain on the workings of cycling's greasy-handed experts. During my time at VeloNews, I stumbled across gravel races, specifically the Dirty Kanza 200. It was a pivotal experience in my life. After a period of ennui regarding my own cycling, the burgeoning segment of cyclists taking to roads less traveled resonated strongly with me. The people I met encouraged me to explore my own limits and set examples that transcended what I had previously thought possible. 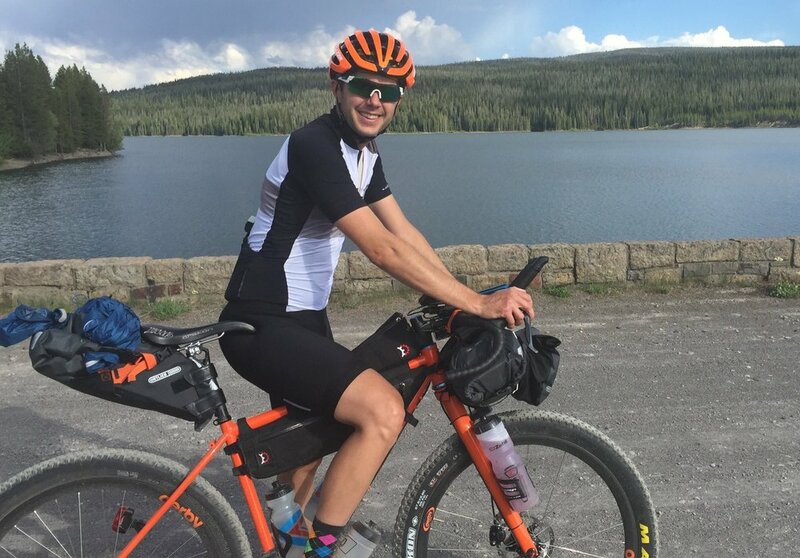 This led to my obsession with and eventual 24-day, 16-hour, 55-minute finish racing Tour Divide along the Great Divide Mountain Bike Route, a 2,750-mile route from Banff, Alberta to the Mexican border at Antelope Wells, New Mexico. It rekindled my love of the outdoors, camping, and pedaling for hours on end. After three years working in cycling and powersports public relations and marketing, I recently rejoined the editorial ranks, working as the Tech Editor for Adventure Cyclist and as a freelance journalist. I recently authored "Gravel Cycling: The Complete Guide to Gravel Racing and Adventure Bikepacking," a book that inspires new riders to try gravel riding and bikepacking while celebrating the efforts of those already in the field tackling big, multi-surface rides.